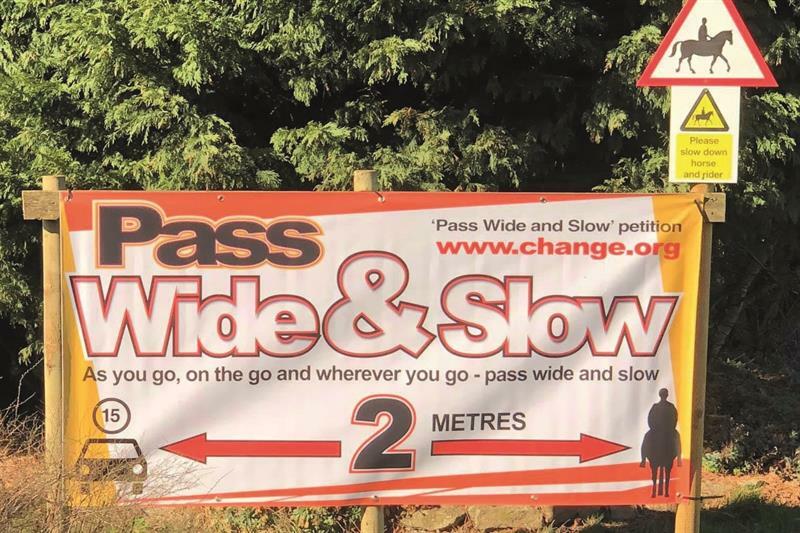 14TH APRIL 2019 Pass Wide & Slow Facebook Group run by Debbie Smith, who’s petition “Pass Wide & Slow” was debated in Parliament in 2016, would like to invite you to attend one of these rides/drives taking place across the UK. Pass Wide & Slow Facebook Group run by Debbie Smith who’s petition “Pass Wide & Slow” was debated in Parliament in 2016 would like to invite you to attend one of these rides/drives. Caroline Dale-Leech, MBE is one of the 68 organising a drive/ride on the day. The ride/drives are anything from a group of friends riding or driving out together or a large group and have been organised by individuals throughout the UK passionate about educating drivers how to pass horses safely on the roads.